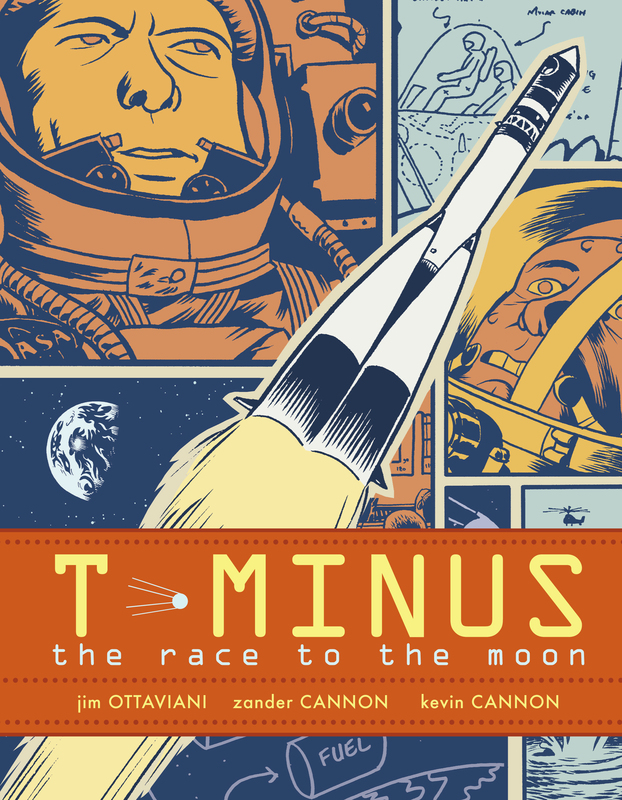 In T-Minus the exciting story of two world superpowers racing to land a man on the moon is depicted through compelling comics artwork, taking readers through the history of the race and turning the engineers and astronauts involved into vivid and real characters. The story unfolds through the eyes of the figures working behind the scenes to make this miracle happen, showing every triumph and catastrophe along the way, and culminating in the dramatic event itself. Jim Ottaviani, a former engineer who is now a librarian at the University of Michigan, has garnered numerous nominations and awards (including Eisner and ALA/YALSA nods) for his graphic novels about science. He speaks regularly on comics in venues ranging from local schools to Stockholm’s Nobel Museum. Jim lives in Ann Arbor, Michigan.